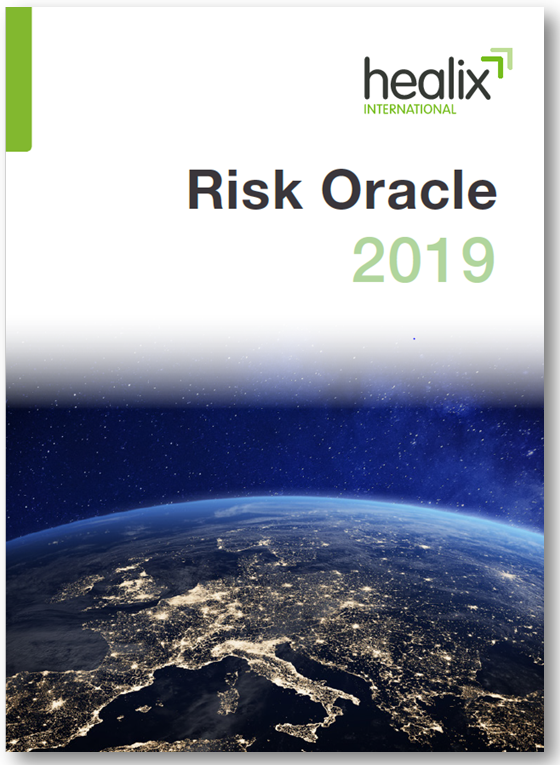 Healix International is pleased to present our 2019 annual Risk Oracle report. In this inaugural Risk Oracle report we look at the major themes and flashpoint areas that we will be monitoring in 2019 with a view to helping risk managers anticipate the challenges and opportunities in the year ahead. Throughout the report, our intelligence analysts highlight some of the main themes in each of the six regions we cover (Africa, Americas, APAC, Europe CIS, MENA) and Special Risks. We look at the main three global risks associated with each of the Political, Security and Operational risk environments and our operations team comment on some of their observations gleaned from their time ‘on the ground’. We also interview General Sir Richard Shirreff, the former Deputy Supreme Allied Commander Europe, about Russia, NATO and the importance of risk mitigation in the corporate world.